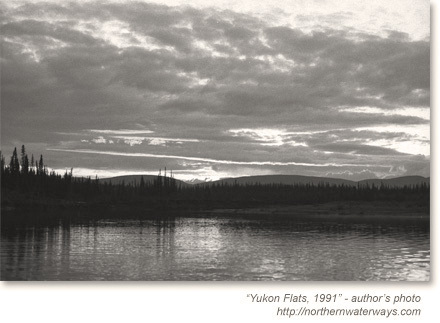 With gas prices on the rise, and time running out on a “lame duck” U.S. administration, advocates for a land swap deal in the Yukon Flats National Wildlife Refuge push hard for a quick timeline and approval of a land proposal before the November elections in the U.S. The proposal could open up 110,00 acres of land to oil and gas exploration in the Yukon Flats National Wildlife Refuge near Beaver Creek (and an additional 97,000 acres to subsurface mineral rights), and return 150,000 acres of land to the Refuge. According to the Associated Press and local news coverage, the controversial proposal is “dividing Alaska natives and stoking opposition from environmentalists seeking to protect bears, moose, and birds that live there.” Due to a high level of public interest, Tanana Chiefs voted to extend the deadline for public comments on the proposal’s Environmental Impact Statement (EIS), and Doyon Ltd. (the Alaska Native Regional Corporation involved in the land swap) voted to close it down on time. The comment period remains closed as of March 25, 2008. Two Gwitch’in communities (Chalkyitsik and Fort Yukon) oppose the land swap, and cite concerns over the long-term impacts of oil and gas development on their traditional lands and way of life, and “the extremely limited short-term economic benefits to members of the Gwichyaa Zhec Gwich’in Tribal Government” (see Tribal Council Resolution, PDF). A recommendation on the EIS is scheduled for sometime this summer.